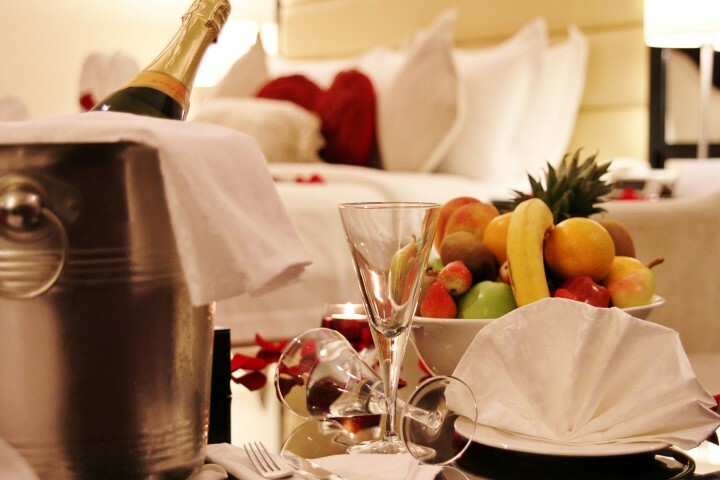 Planning a honeymoon shouldn’t be as stressful as the wedding. 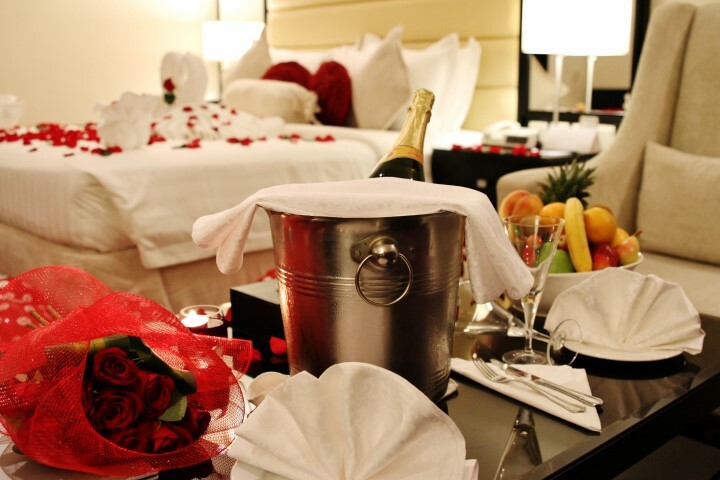 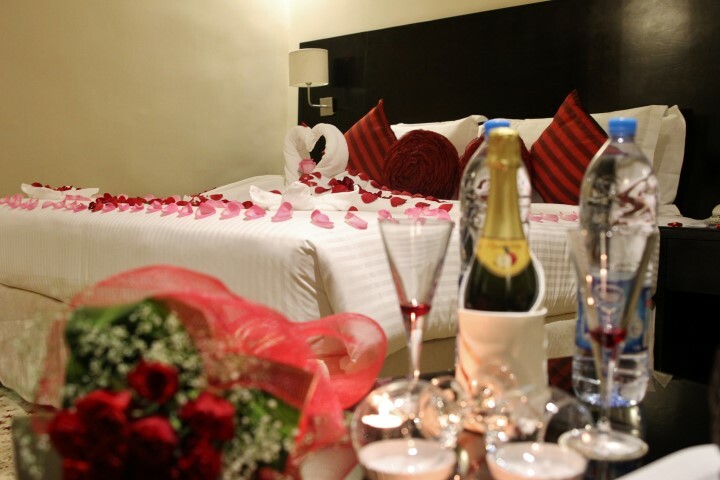 Book your once-in-a-lifetime honeymoon in our hotel and experience a stay full of luxury and romance at its finest. 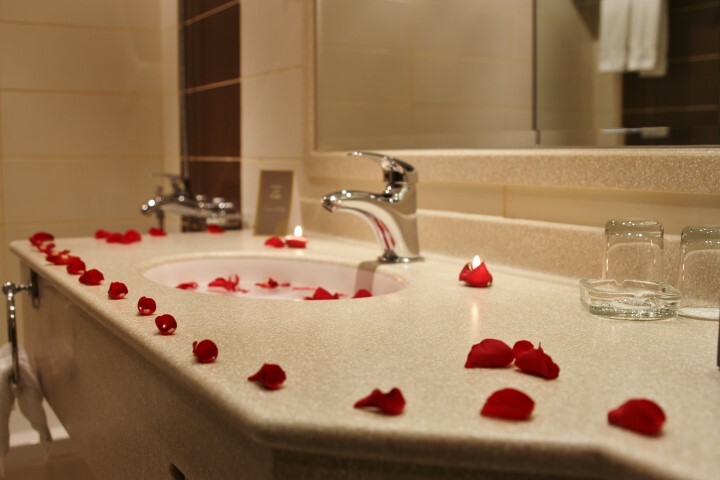 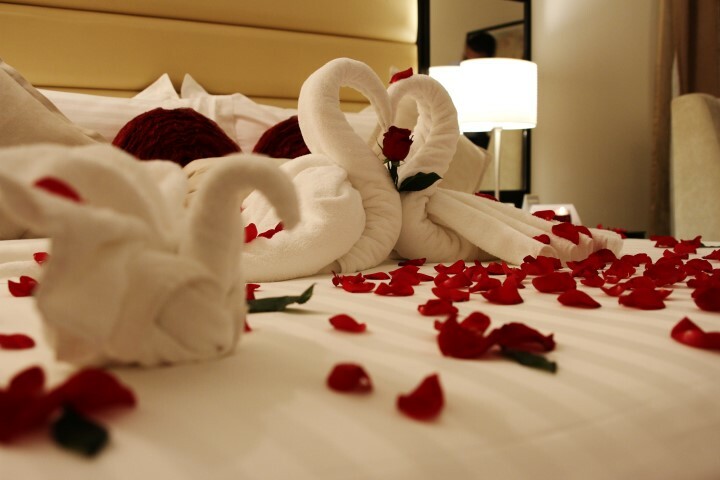 Inquire about our honeymoon hotel packages and experience top-of-the line amenities such as breakfast in bed, our luxurious signature bedding, 24-hour room service and minibars. 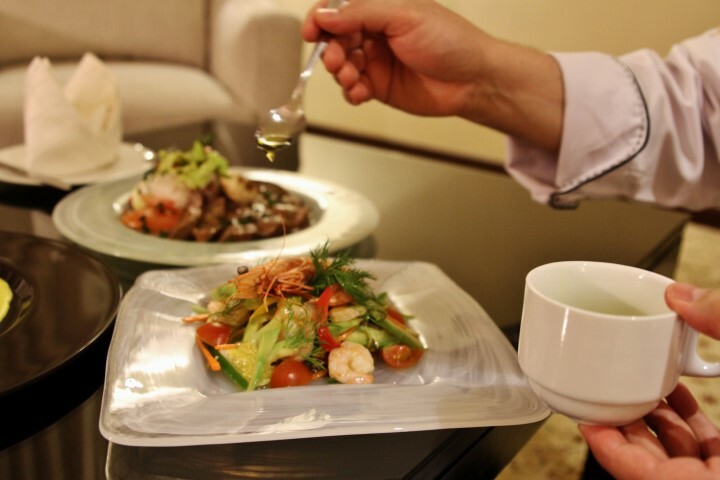 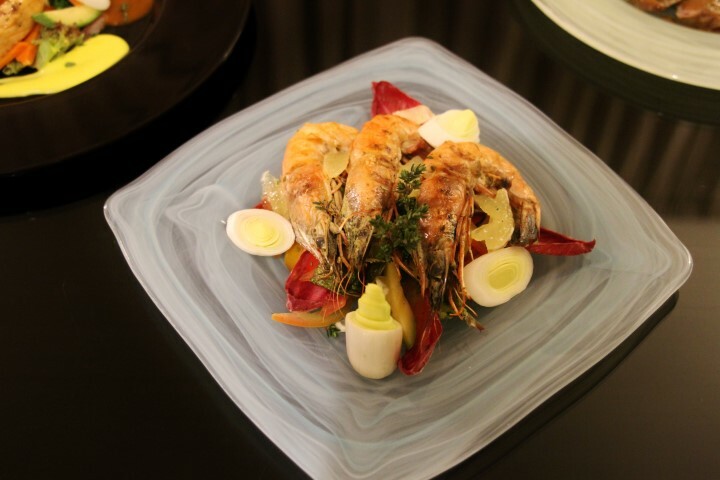 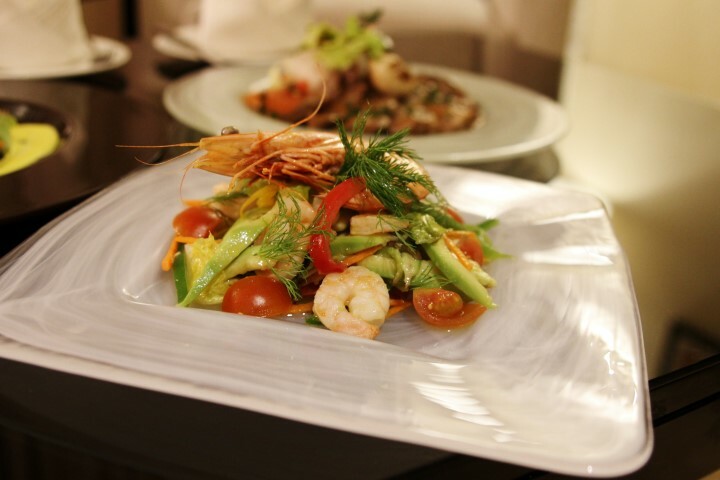 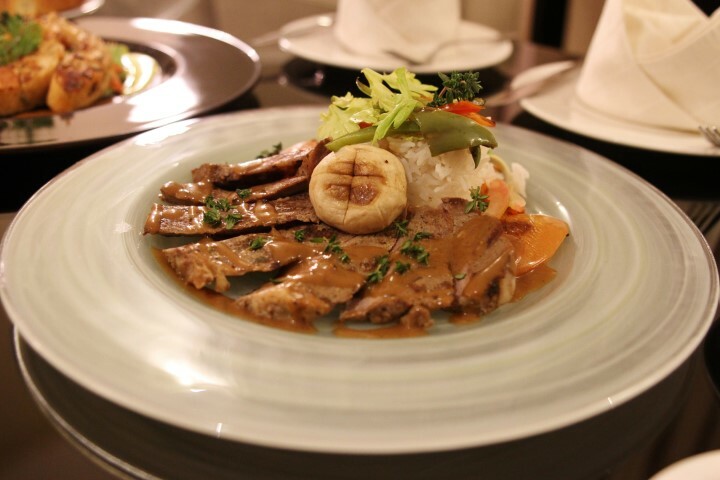 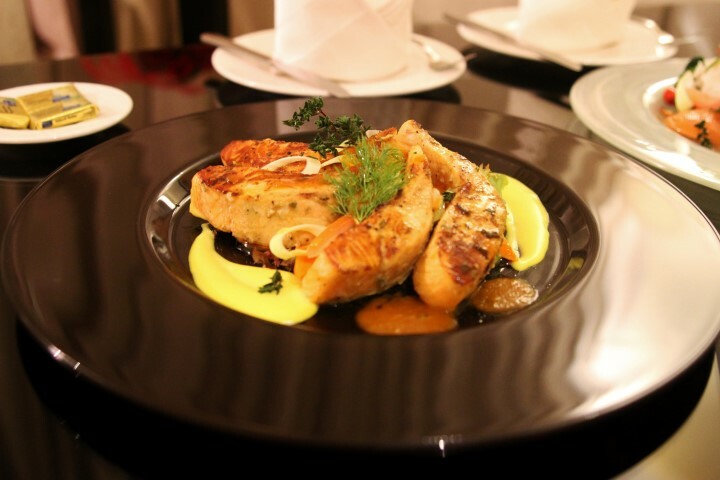 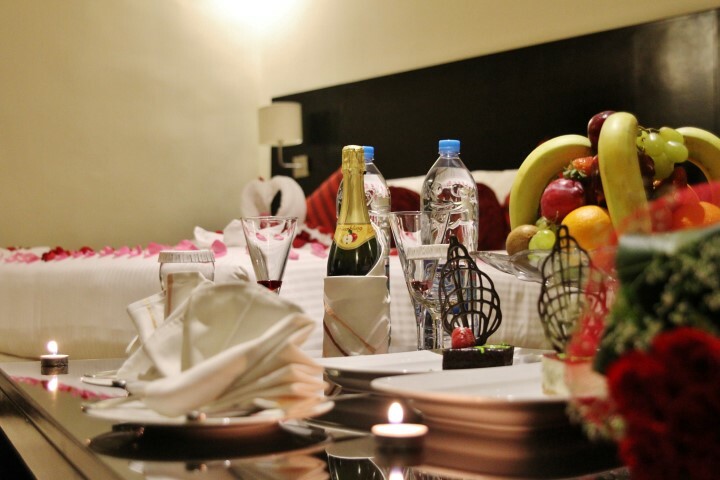 It may be challenging to leave your room, but we guarantee you will be tempted by our open buffet restaurants as well as our hotel facilities. 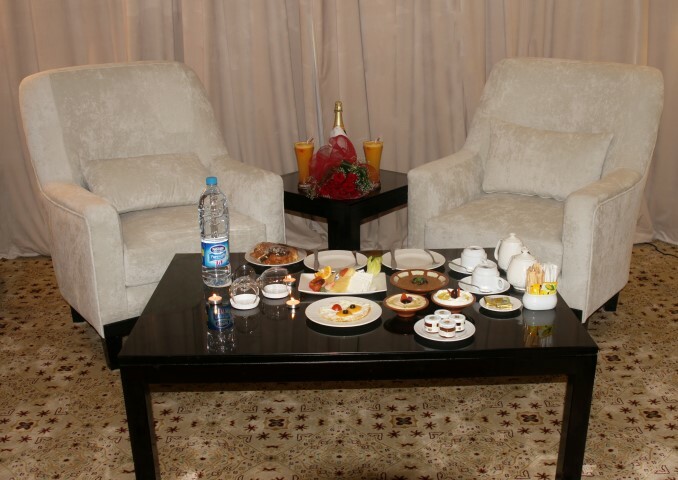 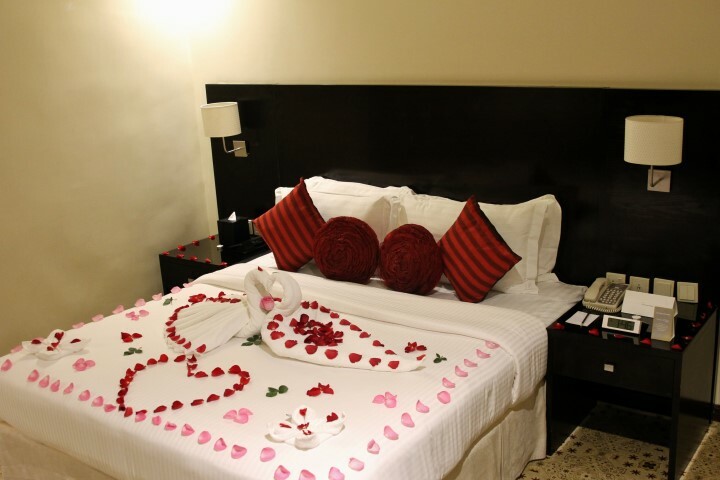 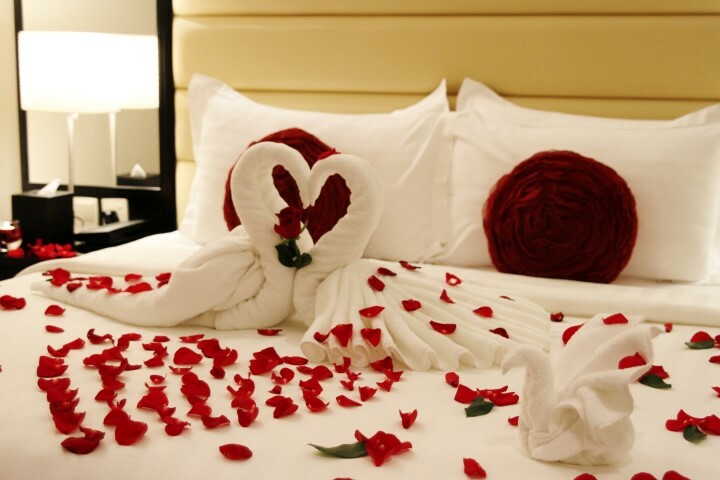 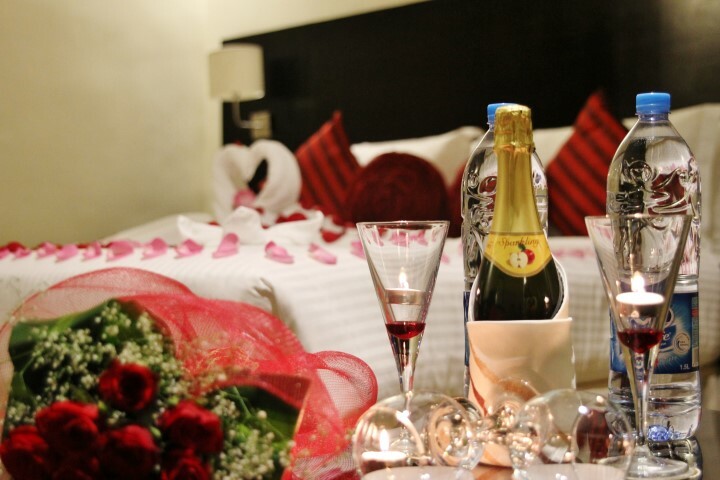 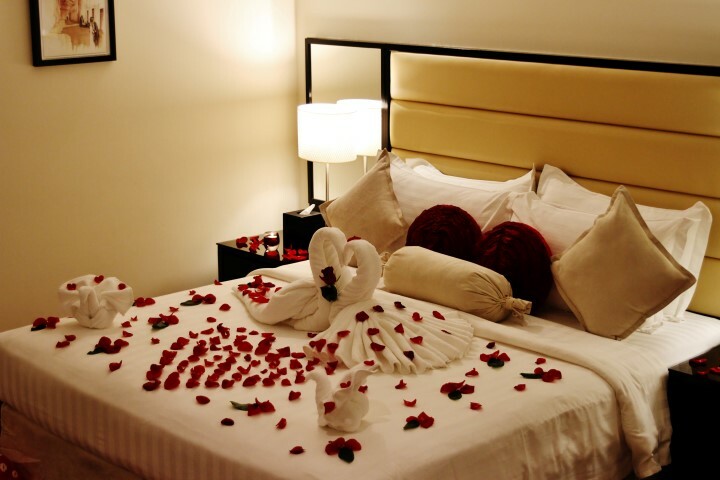 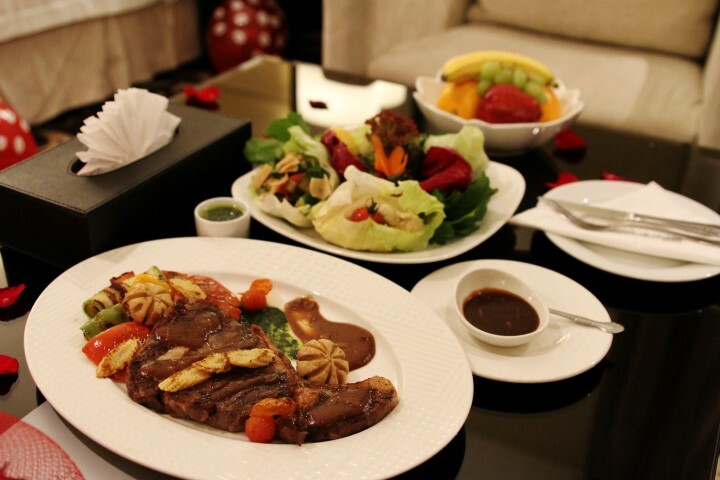 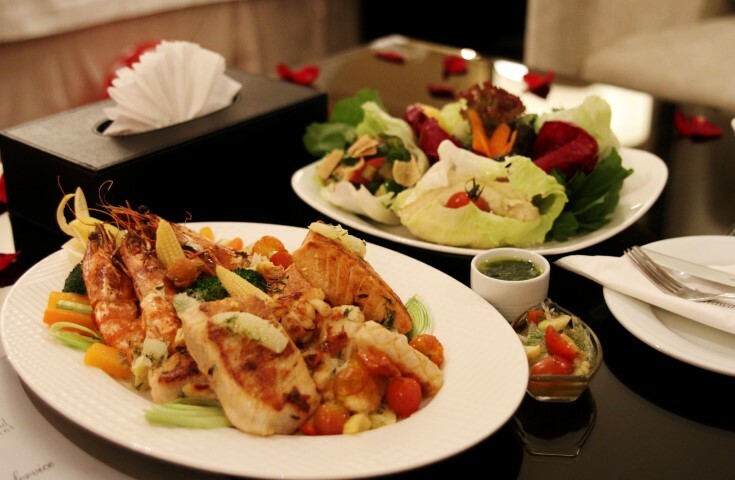 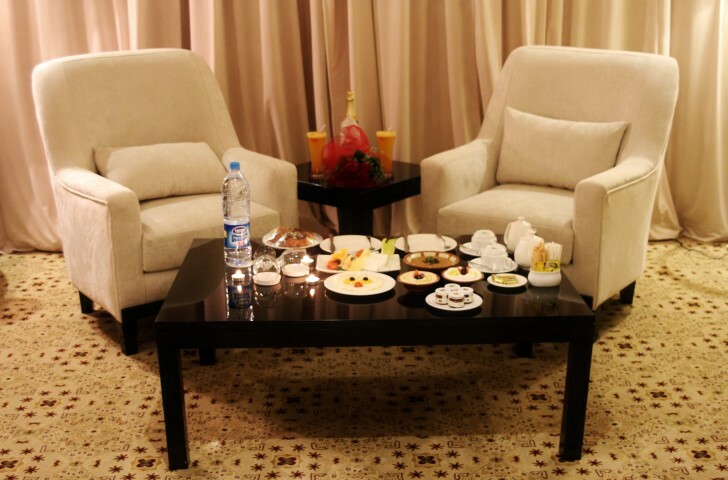 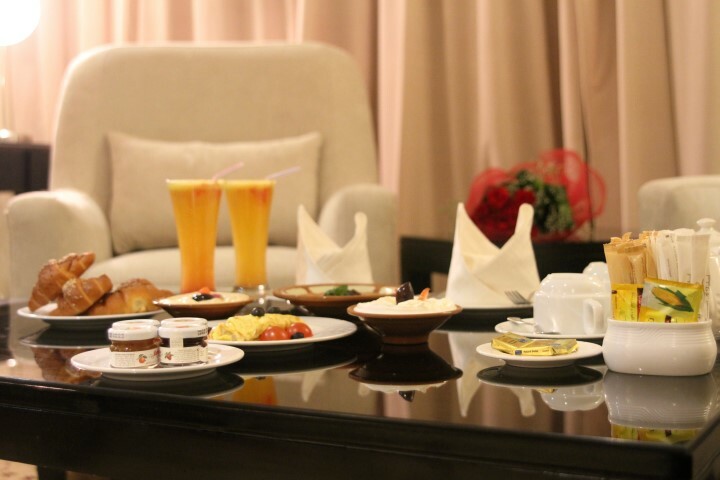 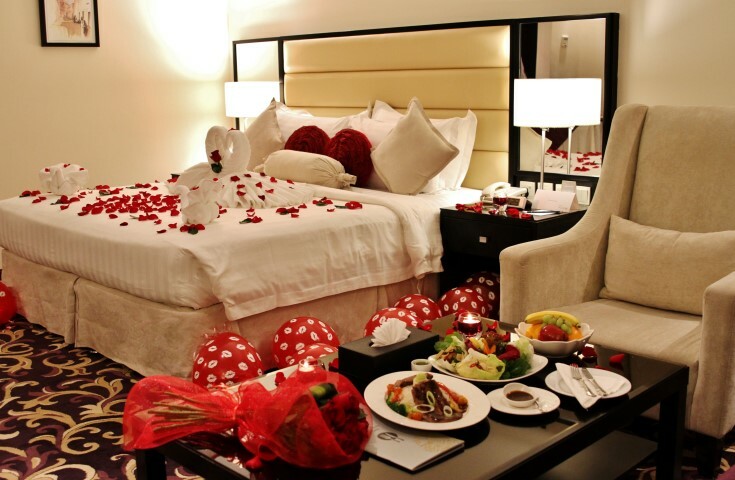 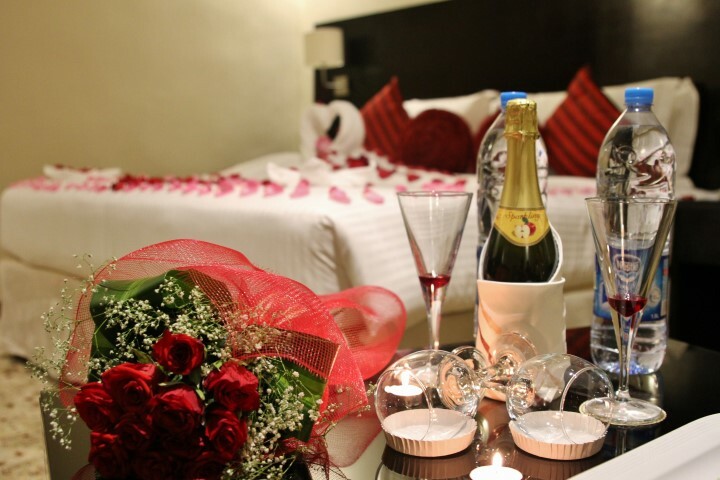 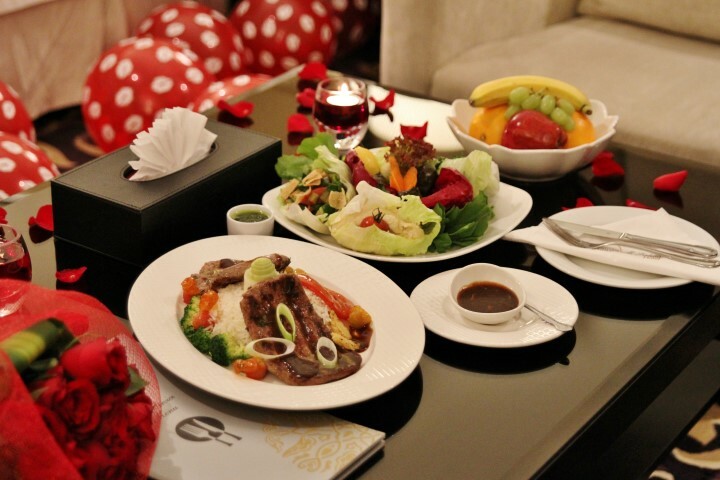 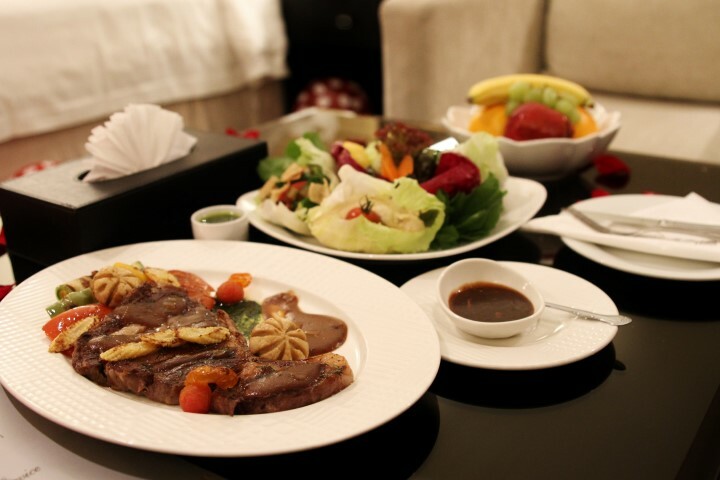 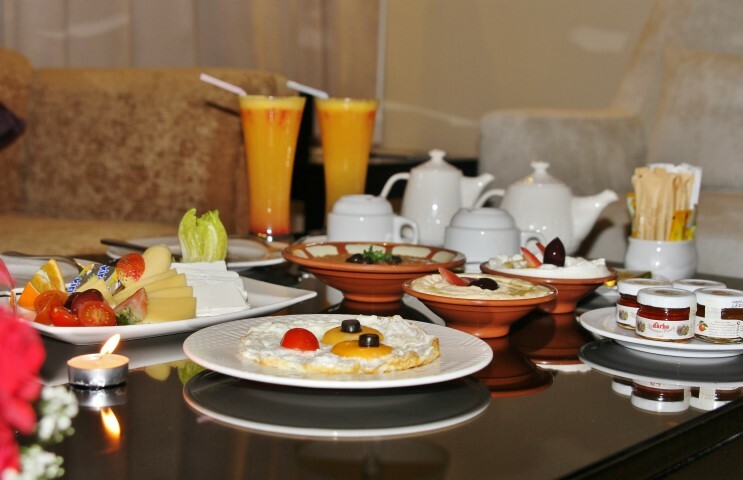 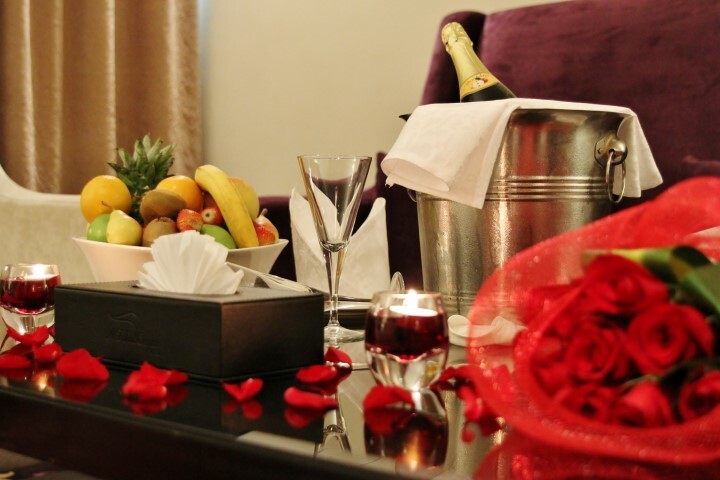 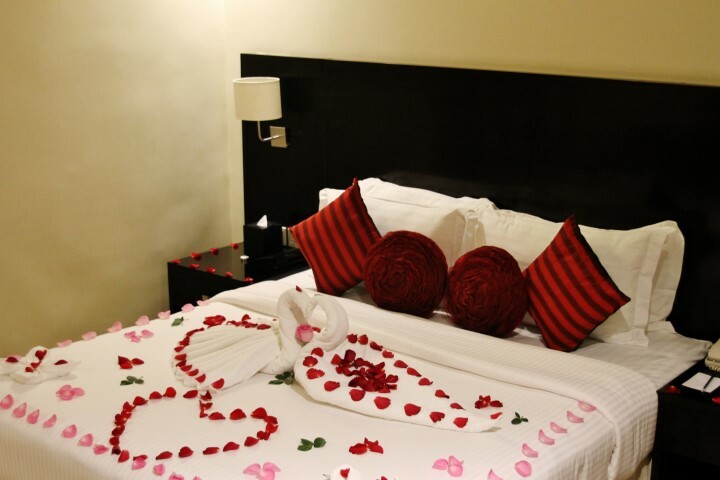 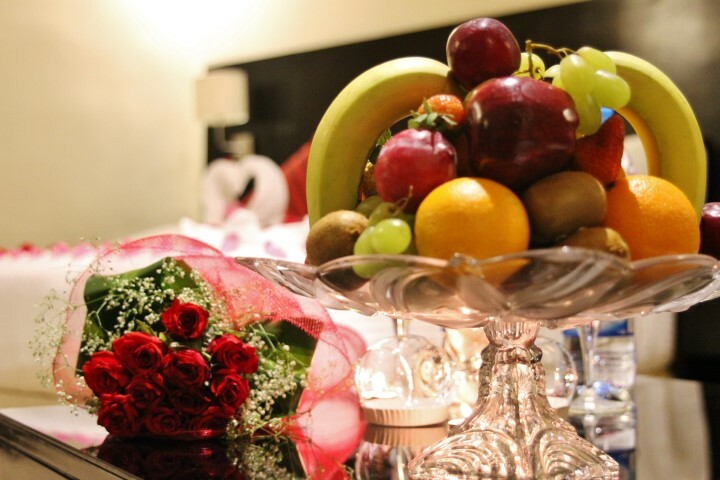 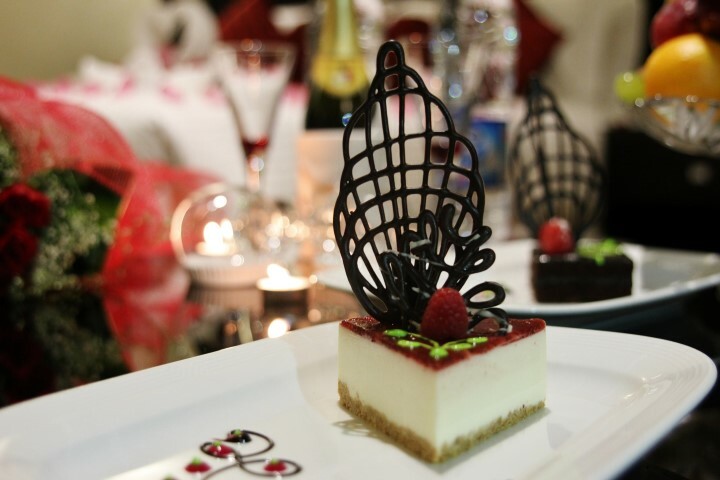 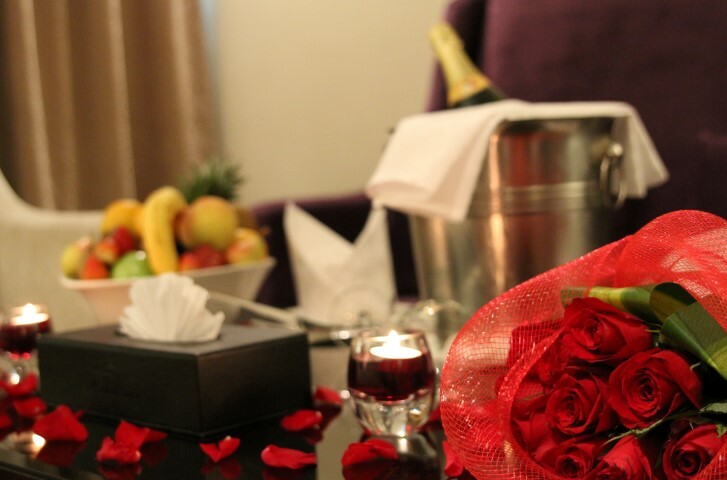 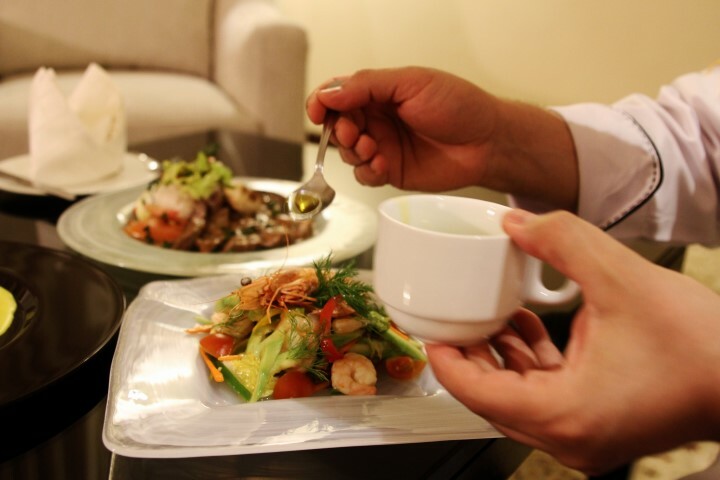 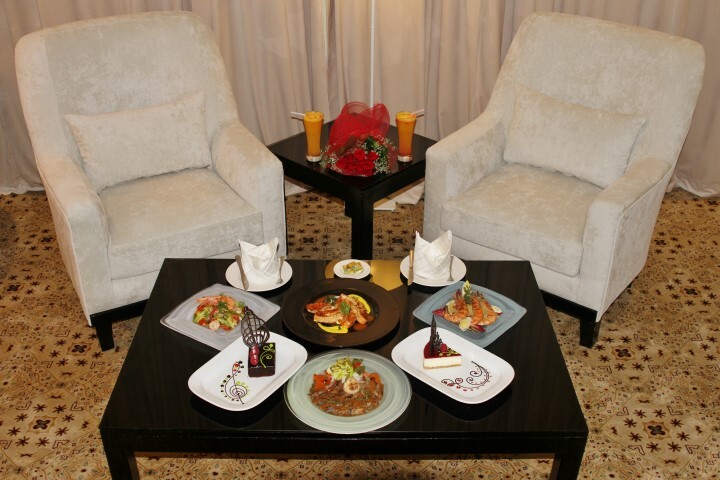 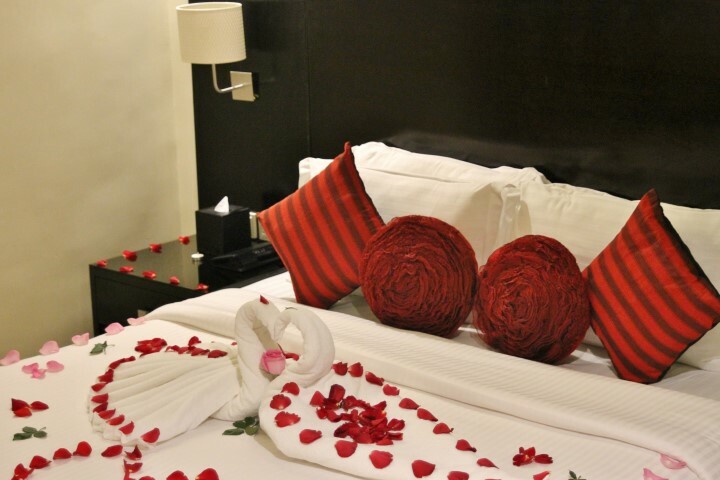 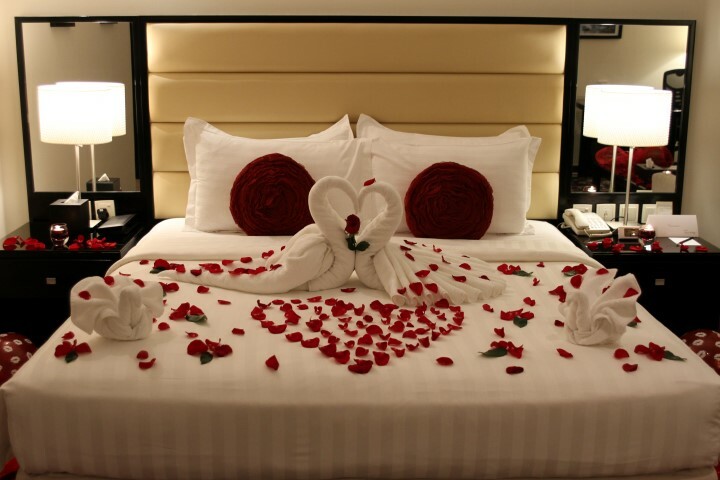 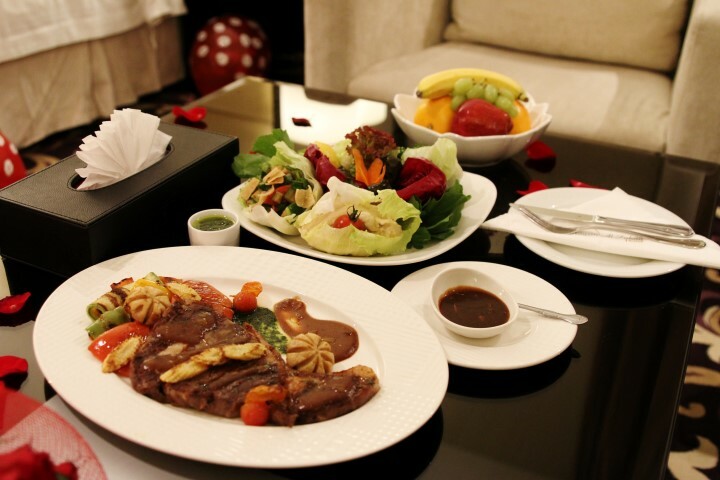 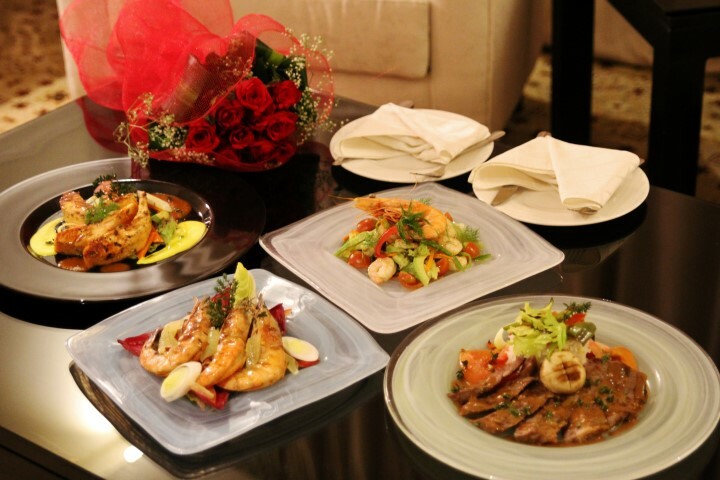 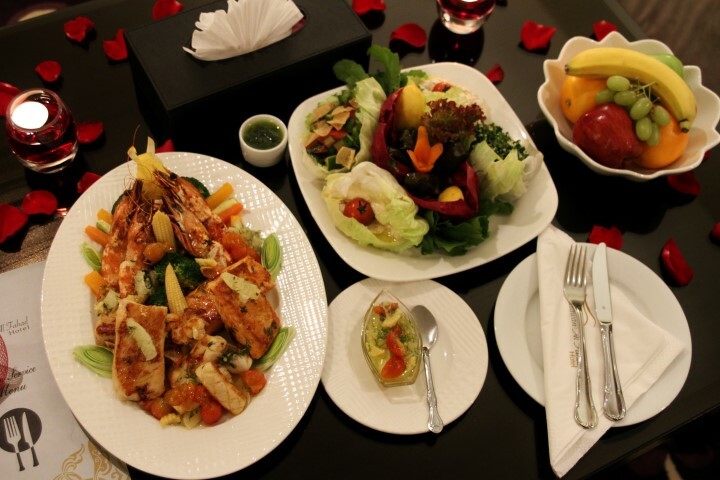 Carawan Al Fahad Hotel offers special honeymoon perks and amenities. 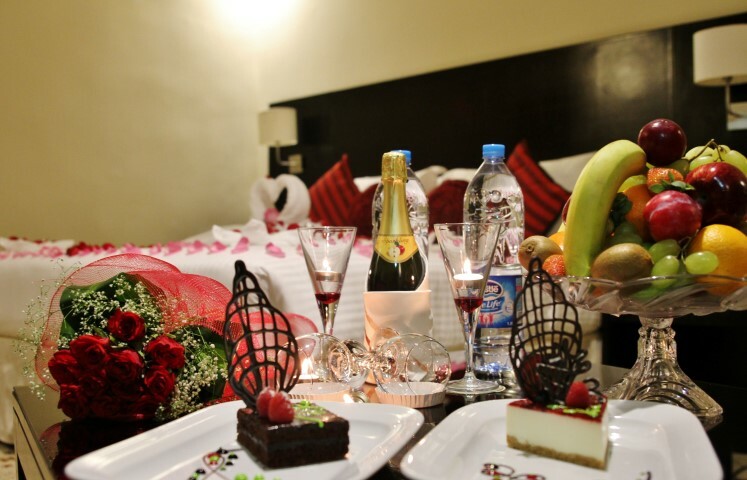 With our accommodations, escape to honeymoon paradise and let Carawan Al Fahad Hotel help you start a new, adventurous life together.